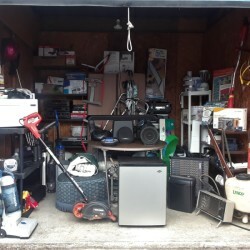 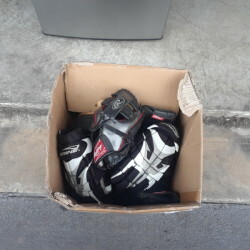 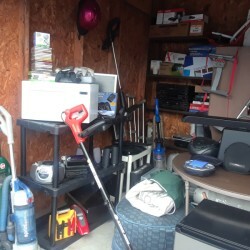 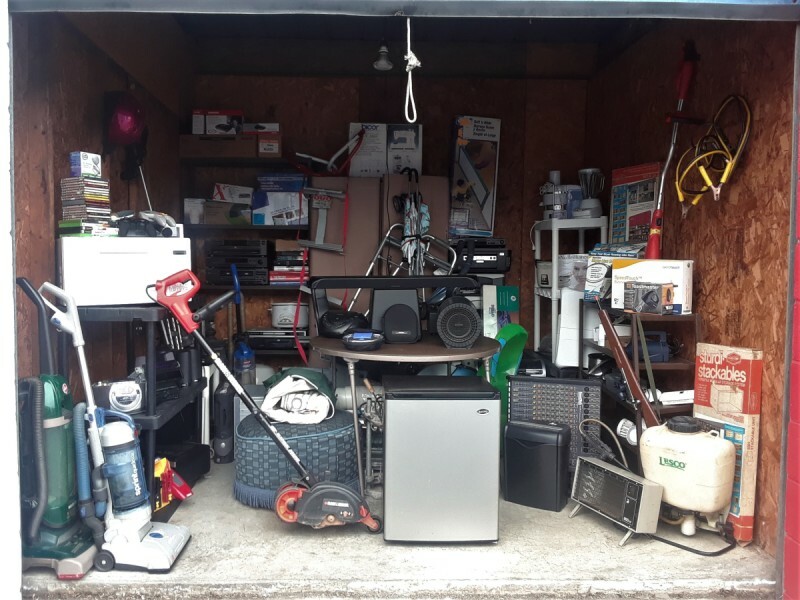 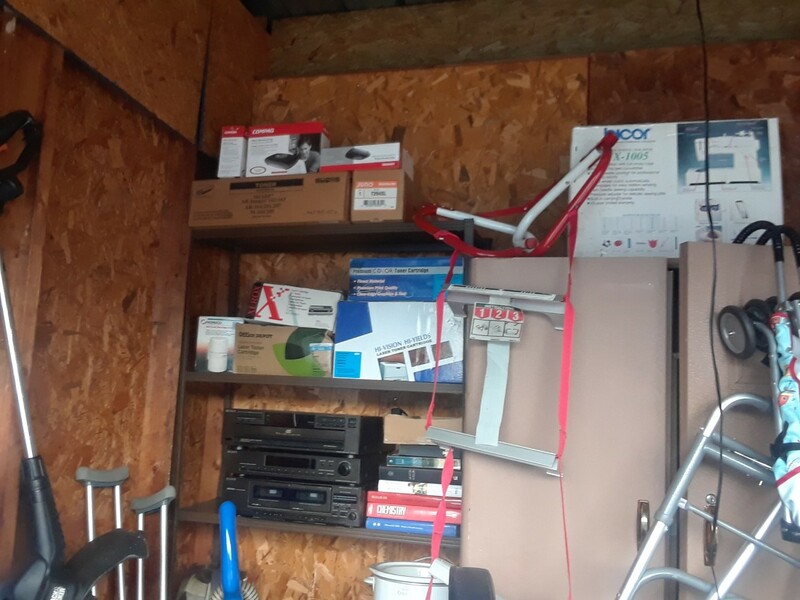 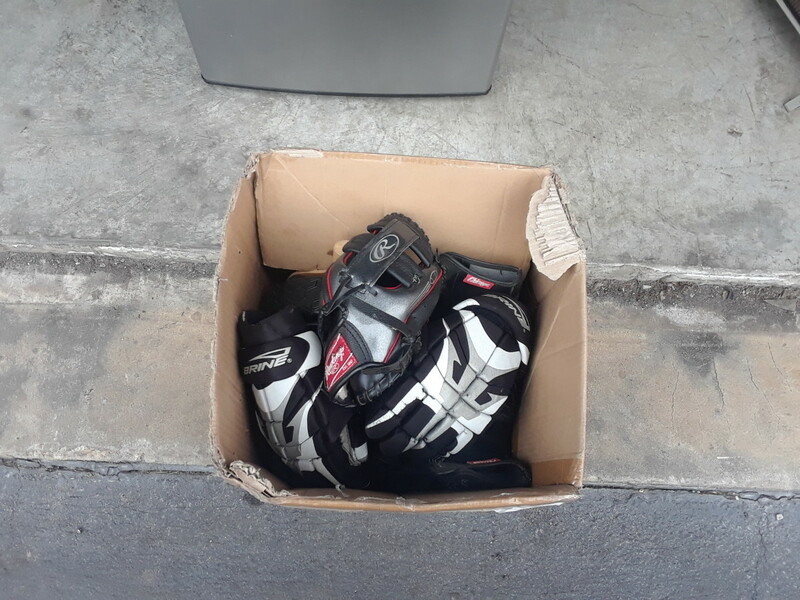 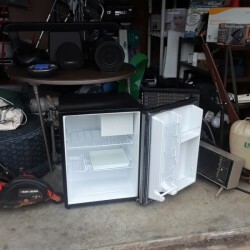 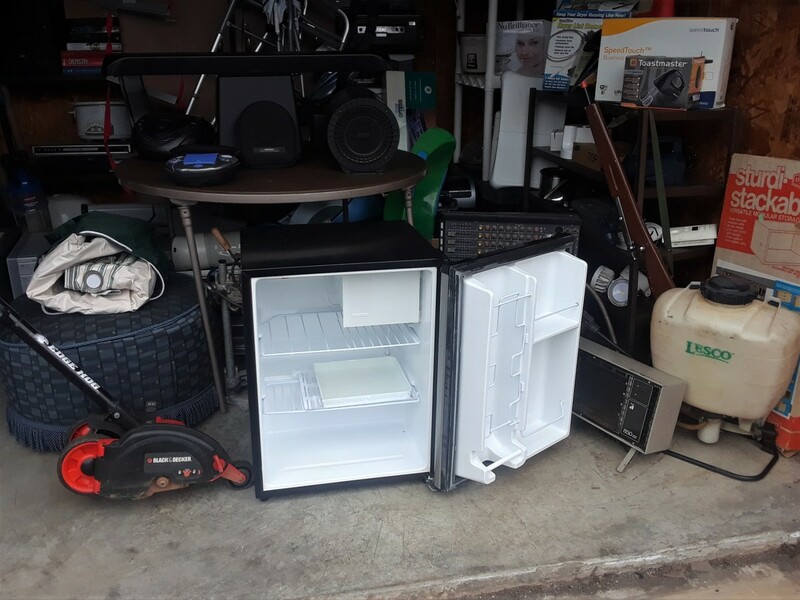 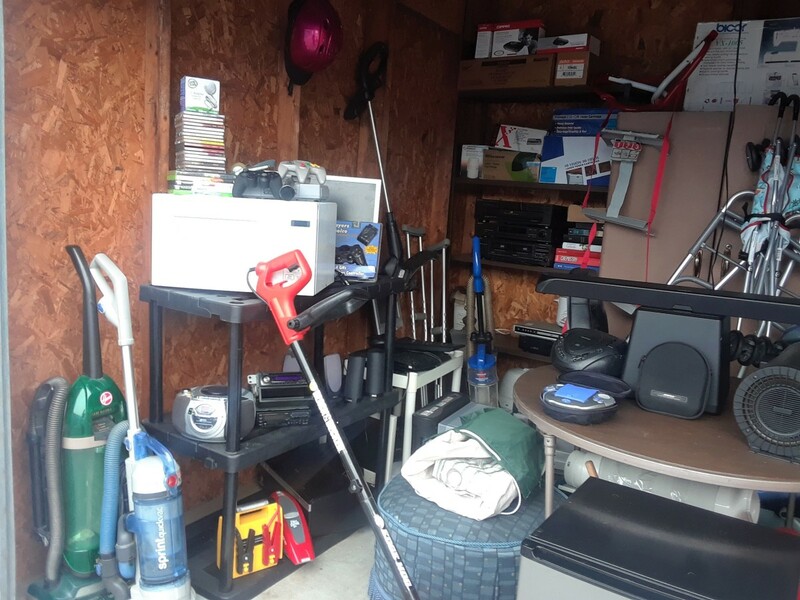 Household, Barely used Refrigerator, Studio Mixer, Power Tools, Electronics, Some new items, mostly USED. 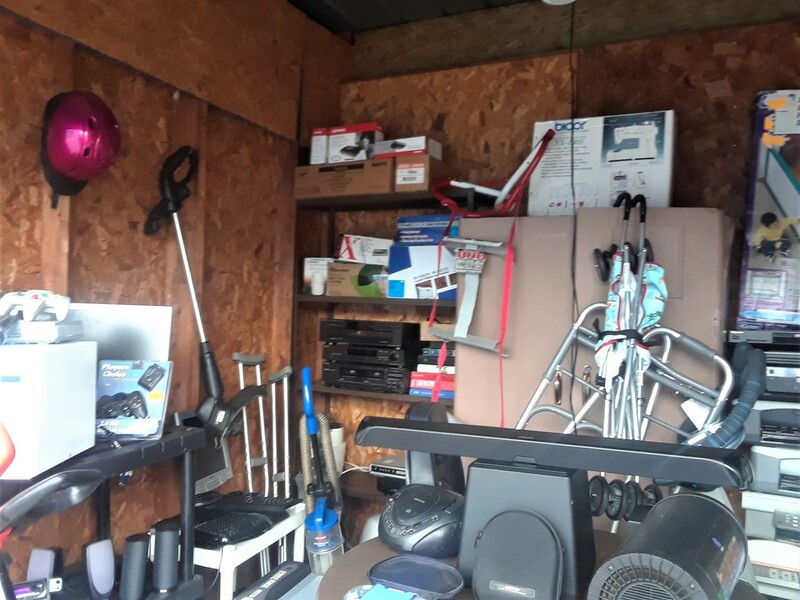 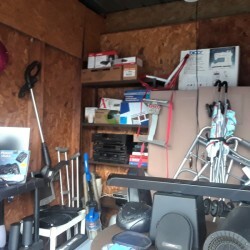 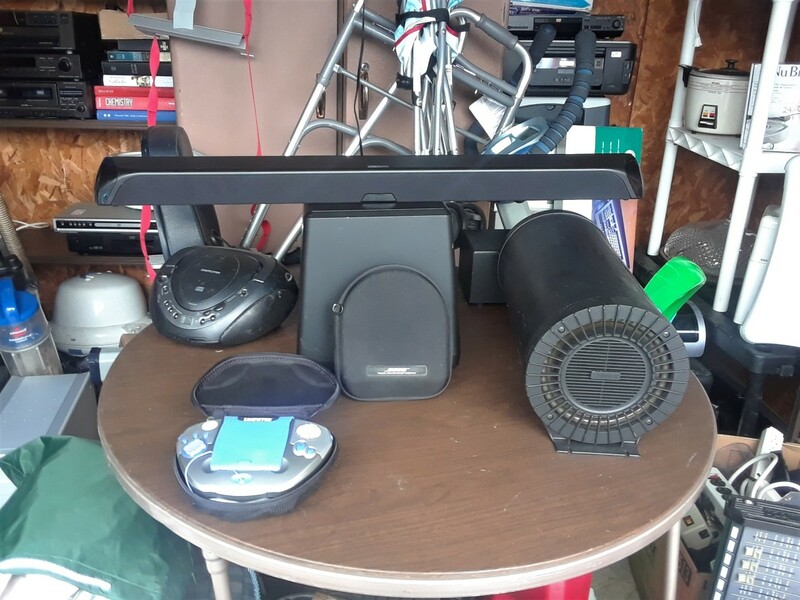 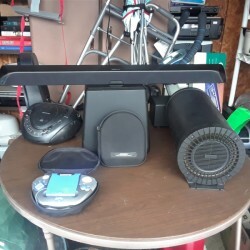 Exercise Bike, Subwoofers, Sound Bar, Microwave, Office,Vacuums, Home entertainment, Stereo, Boom-boxes, Computers, Keyboards, Monitors, & MORE! 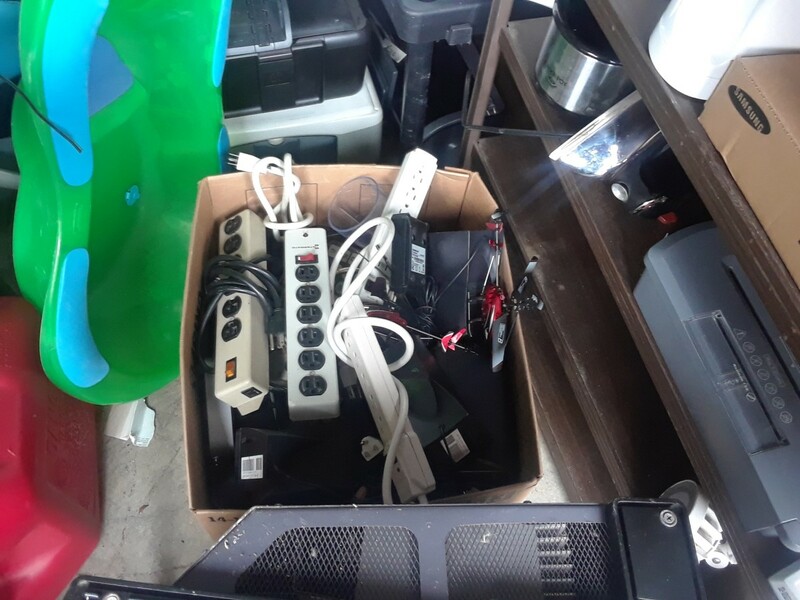 NOTE: Most used electronic items have been tested to power-up. 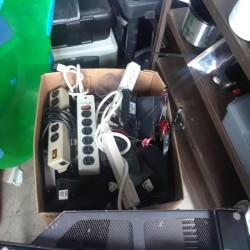 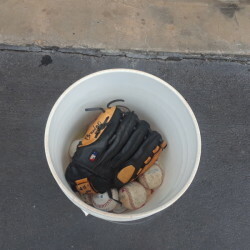 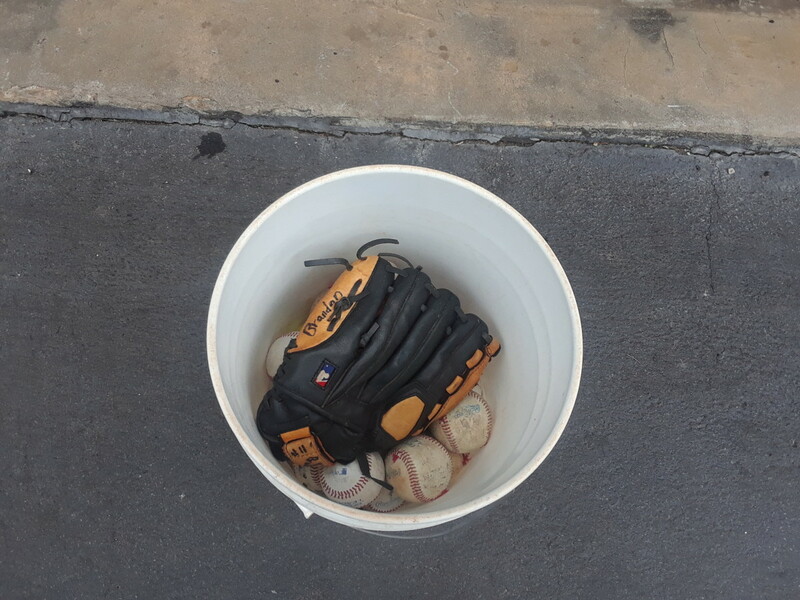 Some items may be missing batteries, power cords, and or accessories. 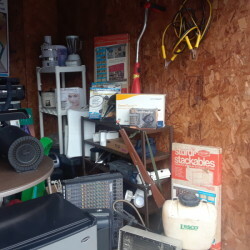 •NOTE: Please remove all contents (EXCEPT) for (large metal Cabinet, shelves & folding tables).
. 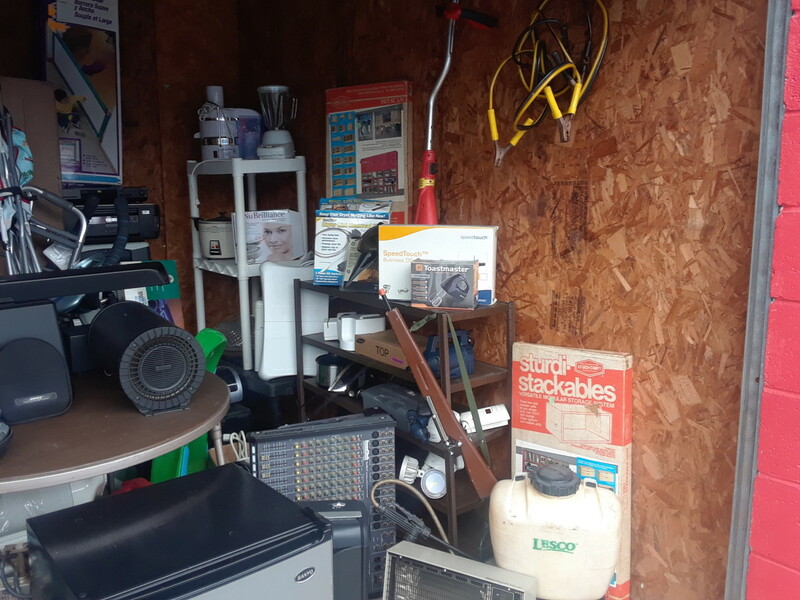 NOTE: Large Metal Cabinet, Storage racks/ Shelves and folding tables are NOT included in sale. 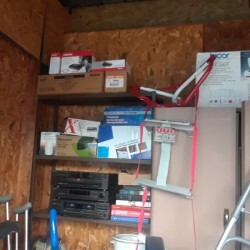 Please don't take metal cabinet, shelves and folding tables.